Work in there has been at a bit of a standstill for a while now, but I did purchase two twin size vintage quilts (on Etsy…one was $38 and the other was $40) to use in the room as a jumping off point for the design. Not sure where that scrap of fabric on that one petal/paw came from, (oil soak rags?) but it’s just kinda cool that there’s writing on it. It got held up for several weeks at a post office in Canada, (apparently their postal service was on strike for a while- yikes!) but I was super stoked to see it show up in a box on our front porch last week. I’m not sure what the name of the pattern is, but if you happen to know, we’d love to be enlightened! PS- Almost forgot! The flip side of quilt number two is pretty cute too! 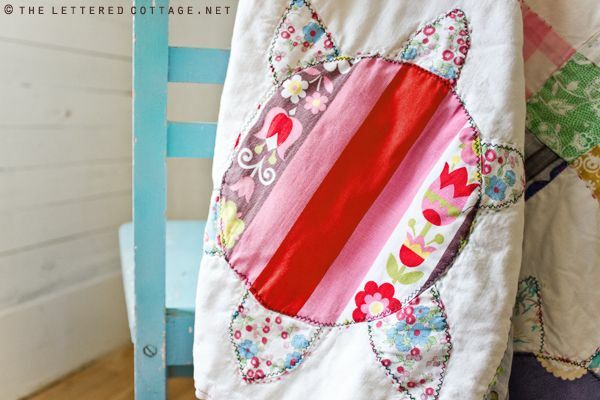 Lovin’ the ‘flurtle!’ Quilts are just so beautiful…. makes me want to learn how to make one! Oh yeah, love the flurtle guilt, just makes you happy looking at it. I wish I could help with the name of the second quilt but I’m dumbfounded. However it too makes me happy! I love those! I cannot wait to see what you do with the rest of the room! Those are super cute!! I just know that you’re going to do great things with that room! The “flurtle” quilt is so precious! I was thinking of turtles as soon as I saw it. Looking forward to seeing more as this room develops. If you really want to know the names of these patterns check out a copy of this at your library: http://www.amazon.com/Encyclopedia-Pieced-Patterns-Barbara-Brackman/dp/0891458158/ref=sr_1_1?ie=UTF8&qid=1310410152&sr=8-1 She has over 4,000 quilt blocks and their history. It’s helped me out many times! 🙂 Beautiful quilts!!!! These quilts are all so colorful and sweet. I love the feeling of home that they give to the space. Can’t wait to see how the room turns out! These are beautiful! I have a few quilts that have been passed down through the family for years that I will always treasure! Can’t wait to see the rest of the room process! Best of luck in the adoption! Congratulations on adopting!!! I’m sure the room will be beautiful! Also I love the quilts! I have two favorite quilts in my house: 1) a wedding ring quilt that was given to my parents when they were married 2) a quilt my Nanna made for me for my 17th birthday. Quilts are wonderful!!! p.s. 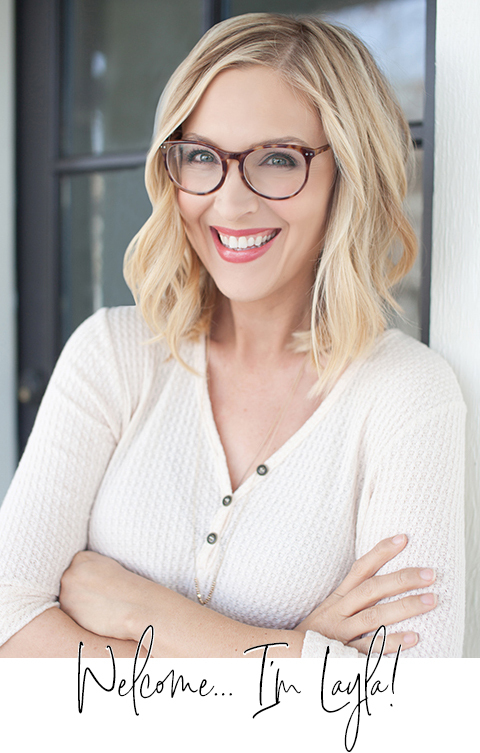 I’ll be thinking of yall as I watch design star tonight on hgtv! What beautiful quilts!! I’m so excited for you guys to finish the room! I’m itching to get back into a home of our own so I can finally give my kids the adorable rooms in my head….for now I can just look at yours and get inspired! Those are beautiful. 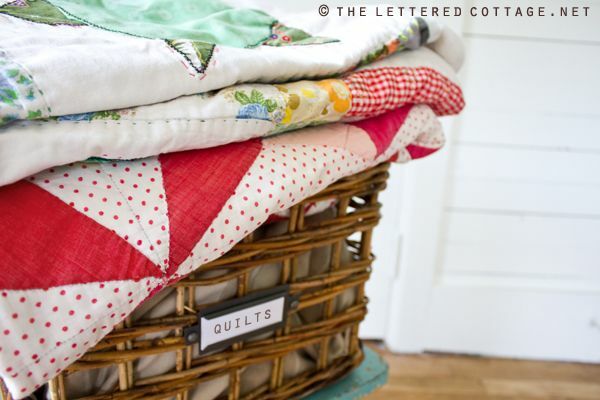 Curious though: How do you launder an antique/vintage quilt? Thanks Marla! I guess I’ll just wash them on the “handwash” cycle in our washing machine. You really should handwash them in the tub. Buy some very gentle soap like ones used for sensitive skin. Fill the tub with warm water and the soap. Soak them, swish them, rinse them and lay them out flat to dry. If those really are vintage quilts (and they look like they are) the batting might not take multiple washings in a machine, even on gentle. Personally, I would only display those and not use them on the kids’ beds. two very good ones and the prices were right, too! LOVE the quilts! I think your idea to design quilts is fabulous! Please move it way up on your list though…I’d like to have one today! At our craft group ladies try so hard to make their patchwork so perfect and their quilting stitches super even. I will show them the pictures of these quilts because the beauty in them is that they are hand made and they are have personality. Have fun with them! That is super cute…shall I say both of them. I really do love the flowers so cute!!!!! Love me some vintage quilts! Yours are in such great shape! I scored 3 vintage quilts for 12.50 at an auction. I love the colors and fabrics, but they definitely have some wear and tear. I love the quilts, especially, the Flurtle! I know your room will be perfect! I always love what ya’ll design! I am adopted. I feel like I am the luckiest person in the world to have my adoptive parents! We seem much closer than many of my friends that are biological children. Good luck with this! You’ll make awesome parents! What fun and happy quilts for your children’s room! Can’t wait to see the completed room. Good luck. 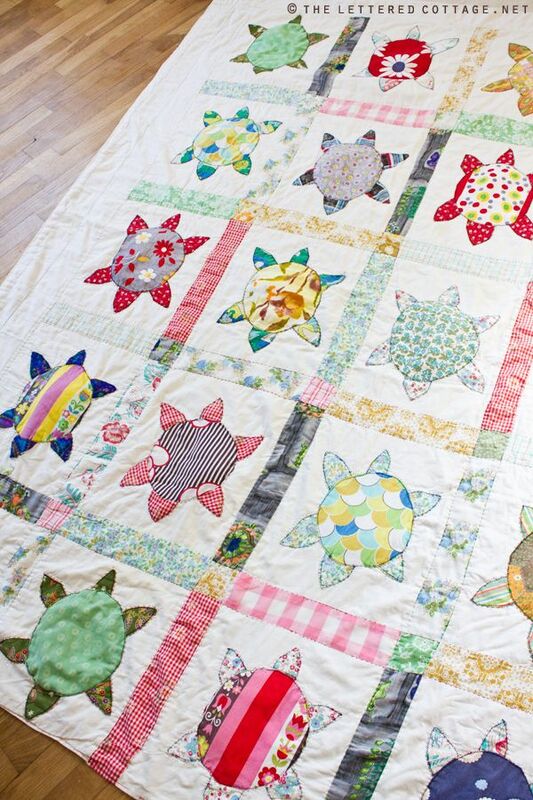 The turtle quilt is really cute. The third turtle looks like Rainbow Fish. I think you will enjoy the book. My children loved it. Love, Love, Love them. Especially the turtle one. How unique. I cannot wait to see the room finished. Cute, cute, CUTE patchwork quilts! I love some of those myself. And have purchase used ones as well! I’ve got a few that are from my MIL home in Arkansas and they need to be finished. That is on my list of things to -do… # 329! I ordered something from Canada too that got hung up in the postal service. Weird. both my grandmothers made beautiful quilts. 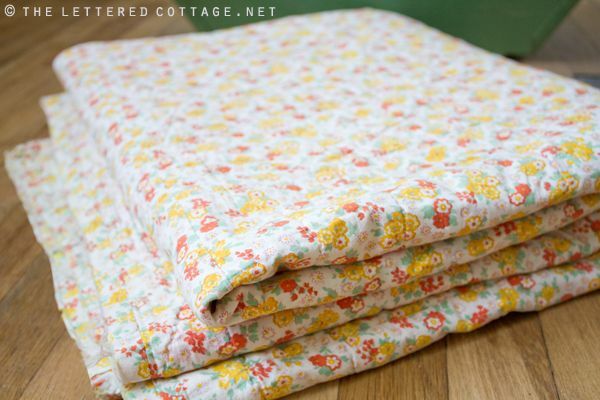 they were on all the beds at my one grandmother’s cottage in Michigan that I grew up going to — I used to pick my favorite flowers or squares or pieces of fabric that were my favorites. i now own some of those quilts — and put them on my beds for special times….or just for fun in the summer! The Flurtle quilt is AWESOME! So the plan is for kids and not babies? Awesome! Darling quilts too! How beautiful! I would love to learn how to quilt! It is definitely one of my goals for the near future. I would like to be able to make a quilt for each of my future children before they are born, so I suppose I will need to learn within the next year or two before we start a family. Thinking of the future is so exciting, isn’t it??! 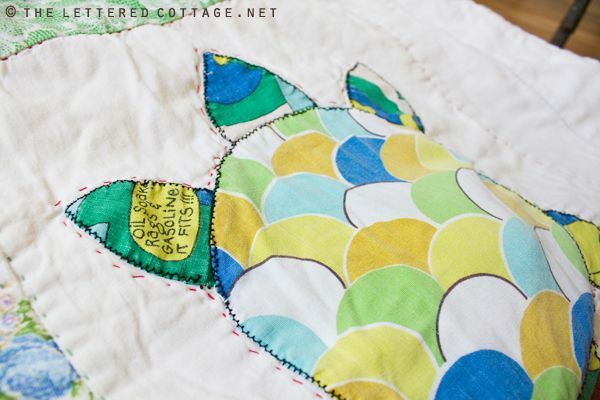 I love the turtle quilt! I have one, too! My grandmother made it for me when I was about 4 yrs old (now I.m 54!). She made my sister an airplane quilt and my mom a terrier dog quilt. Of course, there are MANY more because one of my grandmother’s sisters and my mother-in-law quilted, too. I have a quilt or two that my great grandmother made. I was thinking of selling some of my quilts in the near future. Please let me know if you or your friends are interested. I’m in Helena, AL. how adorable they are!!!!!! what a bright and cheerful room you’ll be able to create around those quilts. 🙂 LURVE. I love the quilts and I have been wondering what is going on with the adoptions since they said they’d be cutting back so much. What’s the plans? Love your site, got here from The Pioneer Woman and I wish you’re inspiring ways could be emailed over to Pittsburgh! Such darling quilts! They are so perfect for the kids’ room! Love it! I love the little twin beds from Ikea…(this one: http://www.ikea.com/us/en/catalog/products/S39827962) They are pretty inexpensive and would be so cute with the quilts! At least…that’s what I’m wanting to do in my kids room. Haha! Best of luck. I hope to see more progress soon!!! What a great starting point for your design. Can’t wait to see how it all comes together. In the most recent Country Living, there is an article where the mom let her daughter pick a vintage quilt from an antique shop and then decorated the room around it. Very sweet! The ” oil soaked rags” fabric piece looks like the text/font from the old Ziggy comic strip, circa 1970-80’s (not the more recent strip). It looks so familiar and of course I’m dating myself but perhaps my memory is still intact! aww, those quilts remind me so much of my wynnbaby stuff. i just love what you chose, friend! keep me updated, so excited for you. Very cute! Love the flurtles! I am loving the turtle one! well flurtle quilt. I cannot wait to see when the room is complete! The pink is definitely my fav too. I think I’d put little French knot eyes on every one of them to make it more urtle than flowe. Such a cute couple of quilts, great find! Beautiful quilts! We too are adopting from Ethiopia with AGCI, and have been waiting with parameters of 0-4yrs since last September. I love seeing work on the kids room! Ours is still a disaster in serious need of organization and set-up! Your progress is inspiring and I may just be ready to get going in there! Excited for you on the adoption! Hope all goes smoothly for you. 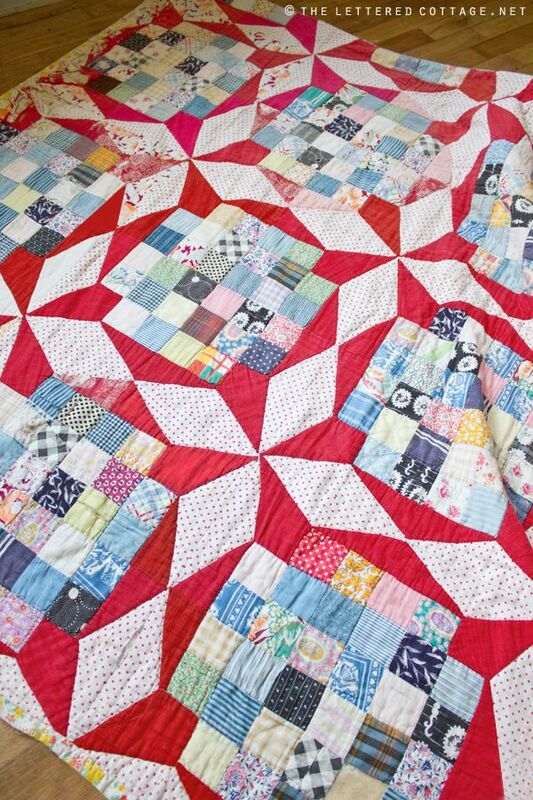 As a quilter of almost 29 years, I love old and WELL MADE quilts. The second one was quite a steal. What the “:Flurtle” one lacks in excellent craftsmanship (was that diplomatic enough?) is made up for by personality…..as long as YOU love it. By the way if you ever do have your own line of quilts PLEASE have them made in the USA! 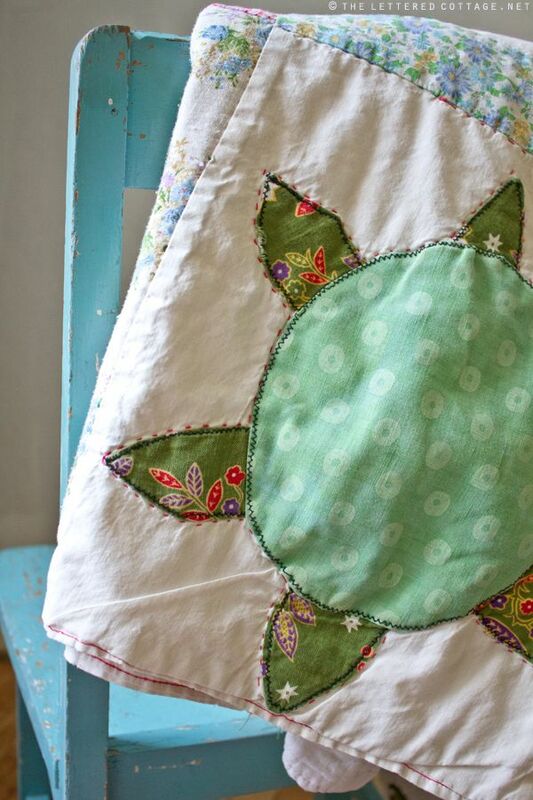 You definitely have an appliqued turtle quilt. I’m a professional quilter for nearly 10 years now, and that turtle pattern is common in books of vintage or antique quilts. It is a bit folk arty in its execution which makes it a bit harder to discern the pattern. Love it, and am going to look for my pattern this evening as I’m redoing and reorganizing my quilt references. I’m also, as I write this, planning to try and draft the pattern for the other, as it is a design I’ve never seen as pattern for before. Both quilts are beautiful, and you received a good deal. Just discovered your website because of Pioneer Woman’s mention of your site. Plan to be a follower and see how you incorporate your quilts into your room design. Hope you have bundles of joy to fill it with soon! I have been enjoying your site for about eight months,and I bought your e-book, too! You and your husband are incredibly talented, but more than anything, you love each other. We have one biological child and two adopted children. Our family is a blend of Dutch, Chinese, Hawaiian, Cree Indian, German, and African. Our oldest daughter, Olivia, attends college at SCAD in Savannah, and we just visited Tybee last summer. I am taking Olivia back to Savannah a week from today. She is going to be a student ambassador and will be “training” for several days from 8-5. I am excited to check-out the various stores on Tybee and really look at some of the cottages. We live in Boise, Idaho, and going to Georgia is almost like going abroad — so much is different; however, the one thing we noticed was how kind and helpful the people of Savannah were. And yes, we are big Boise State fans and will be watching that game between the Broncos and Georgia! Good luck to you and keep on blogging, publishing, writing, creating, and soon — parenting!